When you were a little kid, you had to be home by the time it got dark. That's because darkness meant possible danger. You can't always be home when it's dark outside these days, but you can wear this Occunomix LUX SSETP2B O Orange Hi-Vis Moisture-Wicking Men's Shi ... (see full details) (see specifications) #OCCLUX-SSETP2B-O. When you were a little kid, you had to be home by the time it got dark. That's because darkness meant possible danger. You can't always be home when it's dark outside these days, but you can wear this Occunomix LUX SSETP2B O Orange Hi-Vis Moisture-Wicking Men's Shirt to help keep you safe. Brighten yourself up with this high-visibility orange shirt that makes you much easier to see in dim lighting or darkness. This work tee shirt is crafted with 100% 3.83 ounce ANSI birdseye fabric. This polyester material is resistant to wear, tear and wrinkles to keep your look professional. In addition polyester dries quickly and is machine washable. We know it is essential that you are seen during the day and even more importantly at night. That is why this workwear is equipped with one 360-degree horizontal stripe and two vertical stripes that reflect light. You'll never fear the dark again when wearing this men's orange shirt. In addition the left chest pocket adds convenient storage space for your phone, pens or safety glasses. Not only does this tee get you noticed but it also keeps you comfortable while your on the job. The fabric is lightweight and moisture-wicking. It draws sweat away from your skin keeping you exceptionally cool. It also offers you a roomy fit so you can do any work maneuver with ease. You may be safest at home, but that’s not always an option. 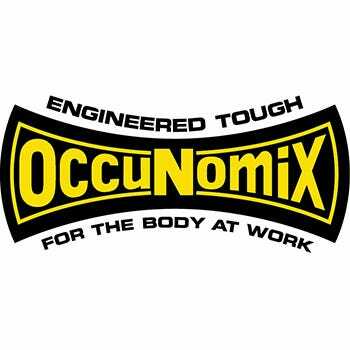 Wearing this Occunomix LUX SSETP2B O Orange Hi-Vis Moisture-Wicking Men's Shirt is and it’s always one of your best options for staying protected on the job. We usually only buy carhartt clothing but when we needed some new shirts for our road crew carhartt was out of stock so we tried this brand. For the price it's a pretty good shirt. Breathable, durable, light weight and the reflective strips are attached very well. Only time will tell if they last as long as our carhartts did. I recommend these to anyone but I would still buy carhartts version first as I know its long lasting. I wore this safety shirt the other day at work and you should of seen all the fuss on where did I get it from!!! I did not want to share my secret on where, but I had too! Everyone loved it and said that this shirt is the perfect one to wear on my job site! I will be purchasing more and also all of my coworkers as well. Thank you Working Person for the nice safety wear! Occunomix Shirts: Men's High Visibility Orange LUX SSETP2B O Moisture Wicking Shirt is being added to your cart.